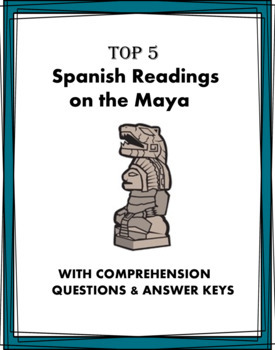 Spanish Reading Bundle: Los Maya - 4 Lecturas @30% off! NOTE: This is a growing bundle, the price will increase as new readings are added. All readings include a glossary of new vocabulary, a reading comprehension section and answer keys.